Perfect for college lovers living in a house with divided loyalties this Penn State Nittany Lions - Pittsburgh Panthers Welcome Mat is the perfect choice. 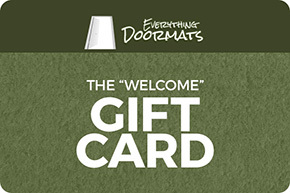 This welcome mat not only shows the world your household rivalry it also brings both exceptional functionality and rugged durability to your home. This Nittany Lions - Panthers House Divided Welcome Mat comes in a 34" x 44.5" size.